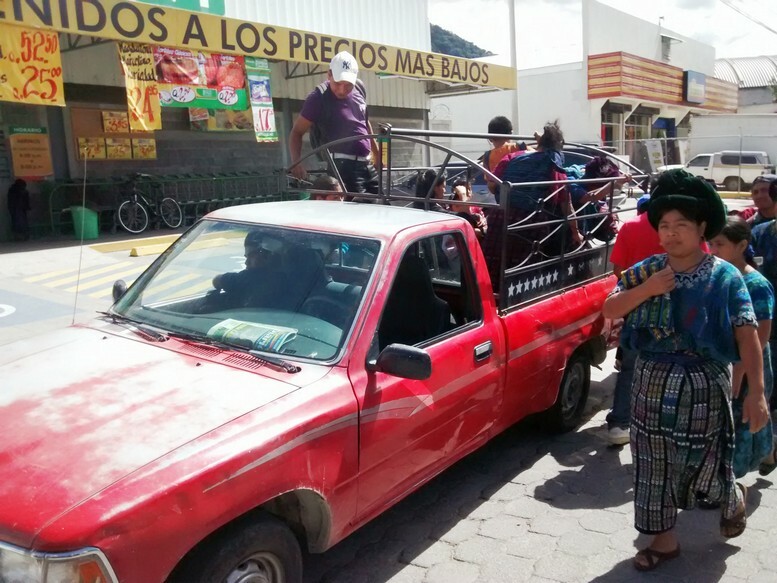 In the town of Panajachel there are four modes of transportation available for hire and each serves a different purpose. 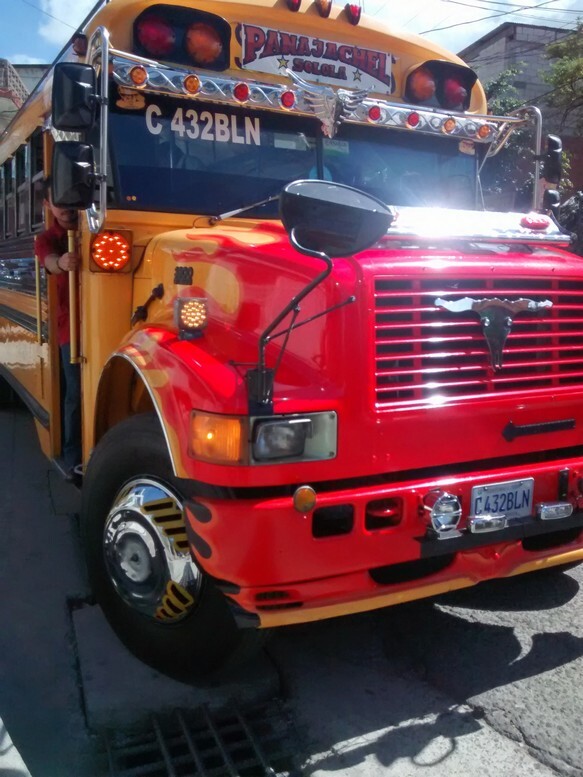 1) Chicken Buses (aka Camionetas) - Converted school buses from the US that shuttle passengers across the country. They are colorful and ornately decorated to aid prospective passengers in identifying routes (there is a large portion of the population that is illiterate so the designs serve an important purpose). Their name comes from the fact that they are commonly packed to the gills, like little baby chicks stuffed in a box (which might also be riding on the bus). Chicken Buses are known as an accident prone means of travel but are used all the time by the indigenous (and occasionally even gringos). If you want more info on them check out the documentary "La Camioneta". 2) A safe, more comfortable and more expensive means of traveling longer distances is to travel in a 'Microbus' or shuttle. They are basically vans used as for-hire transport to different cities. 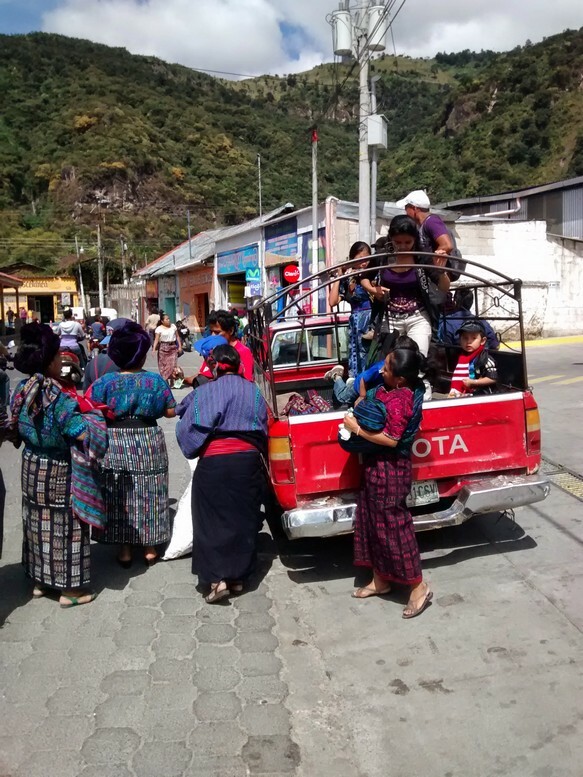 3) For transport between neighboring pueblos, villages or towns you'll want to travel by pick-up. They are mini-Toyota pick-up trucks with wooden bench seats for passengers and metal bars to hold on to when no seats are available. It's not uncommon to see 20+ people riding in them. There are no marked stops. The locals just know where to catch the right one. Unfortunately, we once spent 30 minutes waiting on the wrong side of the street for one. That part of the knowledge is important too. 4) For local taxi service in Pana (and most towns around the lake) you can flag down a tuk-tuk. These three wheeled golf cart sized taxis are all over the place. 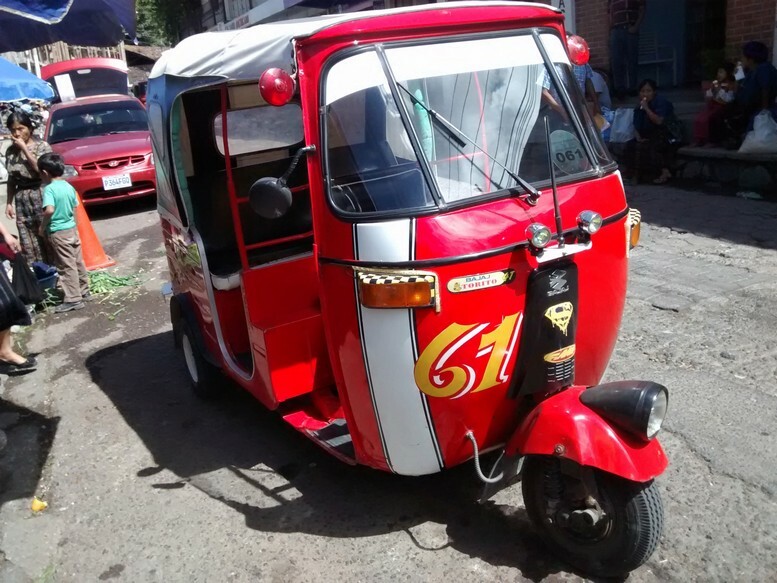 Tuk-tuks cost 55 cents per adult and kids are free. You can put as many people in them as will fit. Elle once sat on the back shelf where many people put their bags/groceries. We've heard stories of 7 people crowding into one. It's not uncommon for one to pick up other people while taking you someplace. Surprisingly, there are 2 woman tuk-tuk drivers in town. Tuk-tuks are super convenient and fast but seriously, the town is not that big. We generally save the 55 cents and hoof it. The kids love tuk-tuk rides!